Lying in the highly desirable Mariposa community in booming Bouqet Canyon location. The two story town home features include new white oak wood flooring, chef's kitchen with all stainless steel appliances and sparkling granite countertops, and an ideal open floor plan. Los Angeles is a city full of celebrities. Since many are young and cool (suppose this is debatable depending on the celebrity) plus have a lot of money, you would expect that their homes would be as cool as they are. Two new listings just hit the market recently that are definitely both "wow" homes. Like the Owner's, the homes and their locations couldn't be more different, but they are both equally amazing in different ways. I'm pleased to present my new listing. Situated down a long driveway at the end of a cul-de-sac in prime A+ Bel-Air location is this spectacular 1.3 acre estate. 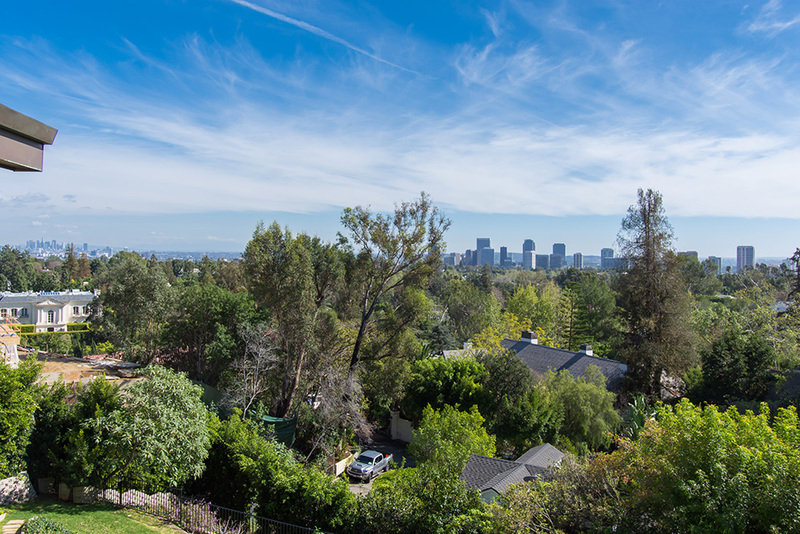 Property offers sensational views of both DTLA skyline & Century City. Rebuilt by famed architect Jann Williams. 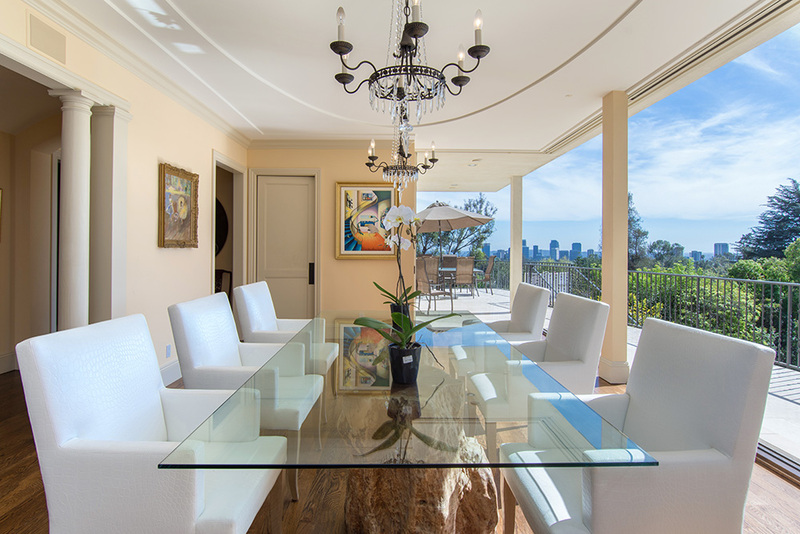 Through the dramatic 2story entry, the main level features a large living room, kitchen w/adjoining family room, 2story library & stunning formal dining room w/walls of glass that open to a large terrace overlooking beautiful city views. 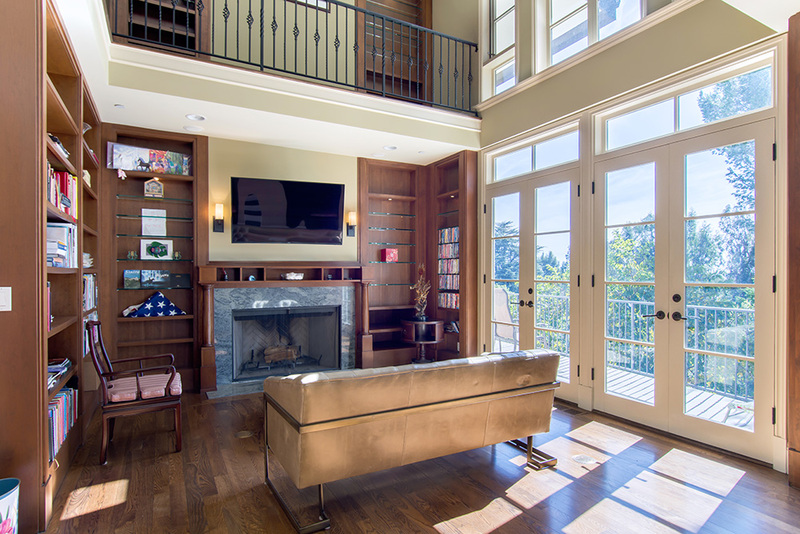 Lower level offers a large theater/billiards room, & art studio or gym. Upper level features 3 family suites & master suite. Seller has approved plans for remodel and addition to approx. 11,250 sq/ft. The expansive lot offers the possibility for development w/approved zoning and completion of plans for park-like grounds w/pool, guest house, underground garage & secondary entrance from Bel Air Rd. Properties in these trophy locations don't come available often, so this is a great opportunity to own in this coveted area! Lying in the Outpost area of the Hollywood Hills, this sleek mid-century modern architectural home has just hit the market. According to the listing, the "Home has been featured in Sunset Magazine." The property has been remodeled with sophisticated style and designer touches throughout. 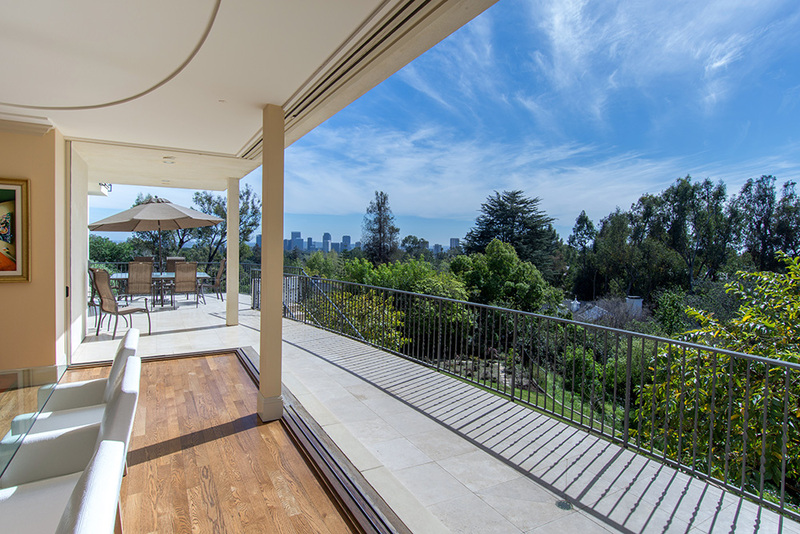 Although a smaller home, with the disappearing walls of glass leading out to the huge outdoor deck with stunning views of both the downtown skyline and the Griffith Park Observatory, allowing the outdoors in; thus, making it feel more spacious than the square footage suggests. This one looks a like it could be special. Updated everything with stunning views in a coveted location; what else could one want? If you like this style of architecture and modern finishes in both the kitchens and baths, this may be the one you have been waiting for. If you wish to see this property, please feel free to contact us anytime @ 310.600.9172 or email smilayproperties@gmail.com. Great mid-century view property in popular Beachwood Canyon area of the Hollywood Hills. Property is gated and on a large flat lot with pool and both city and Hollywood sign views. The property has a great open floor plan with 10' ceilings, original terrazzo flooring, and large floor to ceiling windows allowing natural light to flood the home. Not many neighbors around this home, afford maximum privacy to relax and enjoy the ideal Southern California lifestyle. This is a good opportunity for a buyer who appreciates mid-century design in a prime location. The home would be great for entertaining or just relaxing with the family. If you would like to see this property, please contact us anytime @ 661.600.7463 or email smilayproperties@gmail.com. 4 Great Hollywood Hills Homes Under $700K; Which One Do You Like Best? I searched through the 30 or so properties currently available in the Hollywood Hills (both east and west) with the sole criteria being $700,000 or less asking price. I found some great homes, and have listed what I believe to be the best four below. Which one do you think is the best home and deal? I have my favorite, but am interested to hear yours. Please add your comments below. I think there are some great opportunities currently available. If you are looking to purchase, now may be the perfect time to take advantage of the deals out there. If you would like to see any of these properties, please contact us anytime @ 661.600.7463 or email smilayproperties@gmail.com.